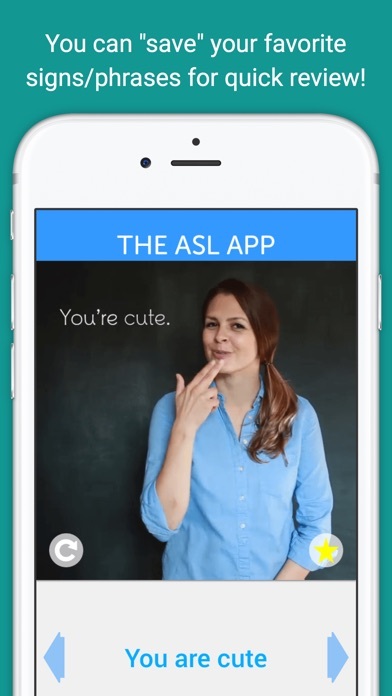 The ASL App is made by Deaf people for you! 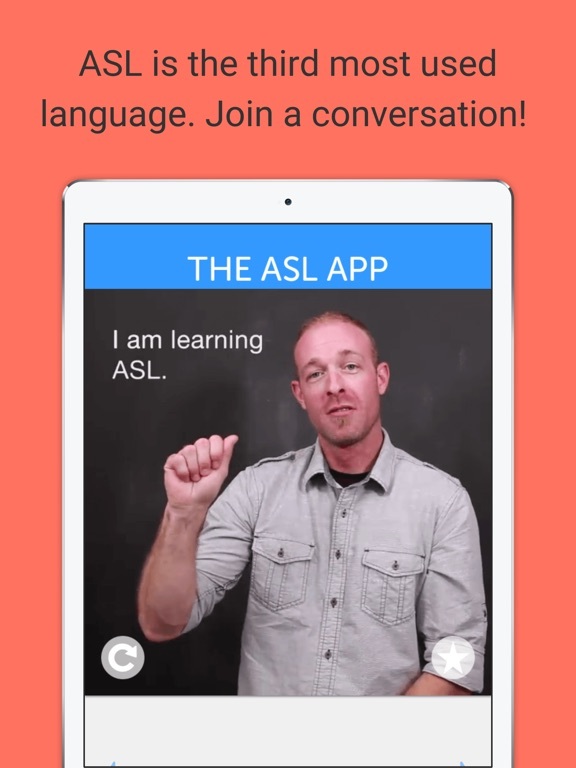 Learn conversational ASL right now, on the go, with all phrases and signs organized to make it easy for you to learn. 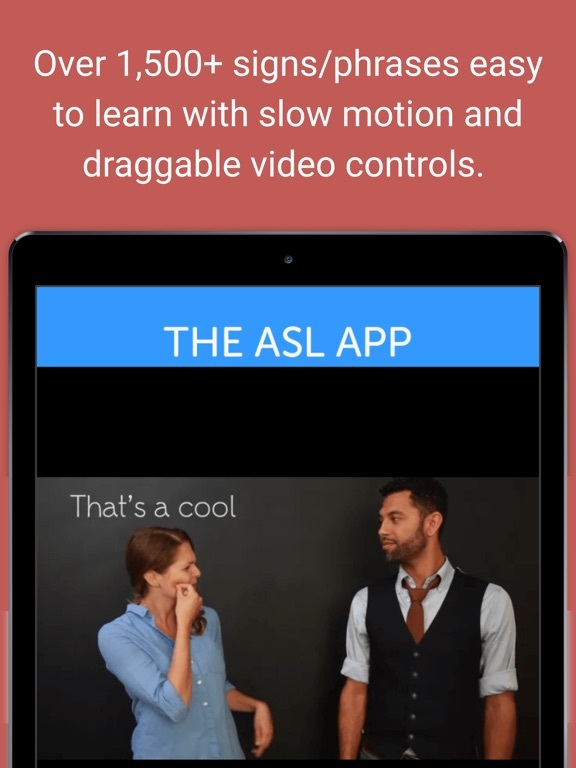 The ASL App is designed to help you learn a new visual language in a way that is easy, intuitive, and well paced. 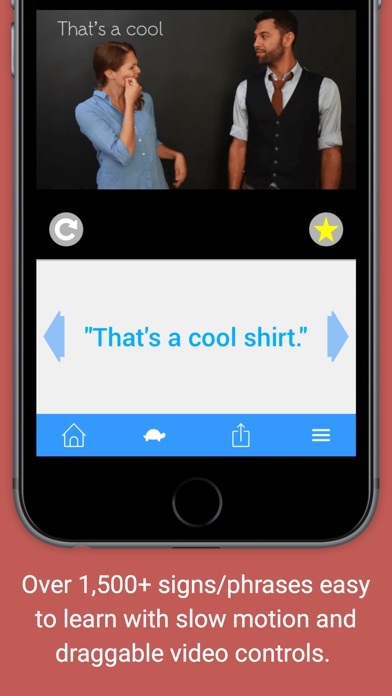 You can drag your finger on the videos to control the speed - totally at your pace. 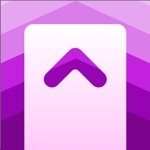 There is a search index (when you need to know a sign right away), slow-motion option, info (tips), and a favorites folder. 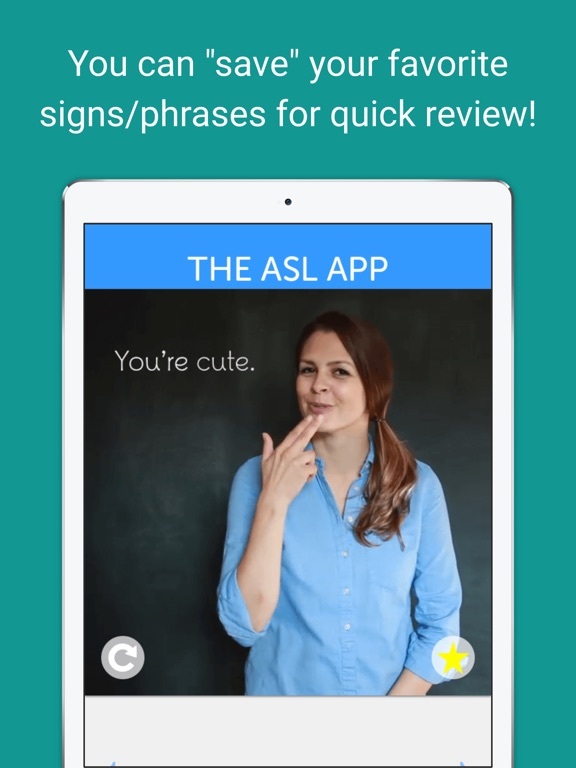 You can save the signs you want to review again in your own favorites folder where you can go back to it and practice more; and even better - you can upload different what signs you've learned to Twitter and Facebook. 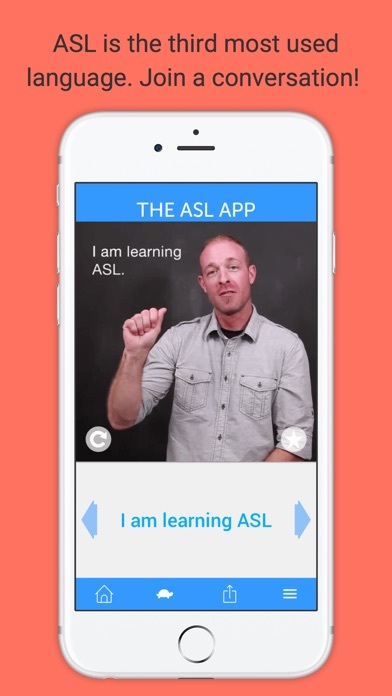 Share with your friends, make learning ASL fun, and progressive!! Get started NOW - download and get your first bundle of signs today! 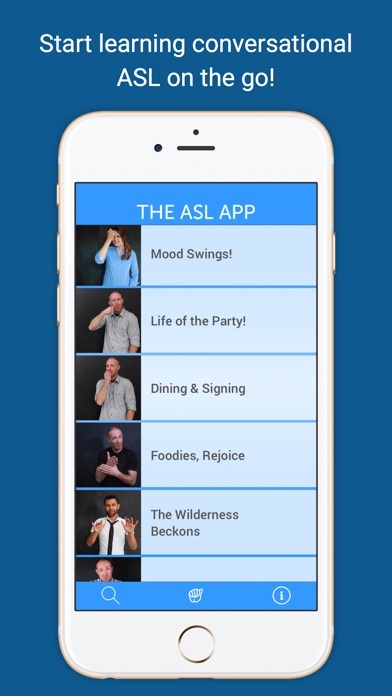 The ASL App Pack offers you everything - the entire collection - of current available bundles and future releases! Everything for $9.99. This also removes ads. • Country Name Signs! Learn the name signs of countries around the world. • Family Signs! 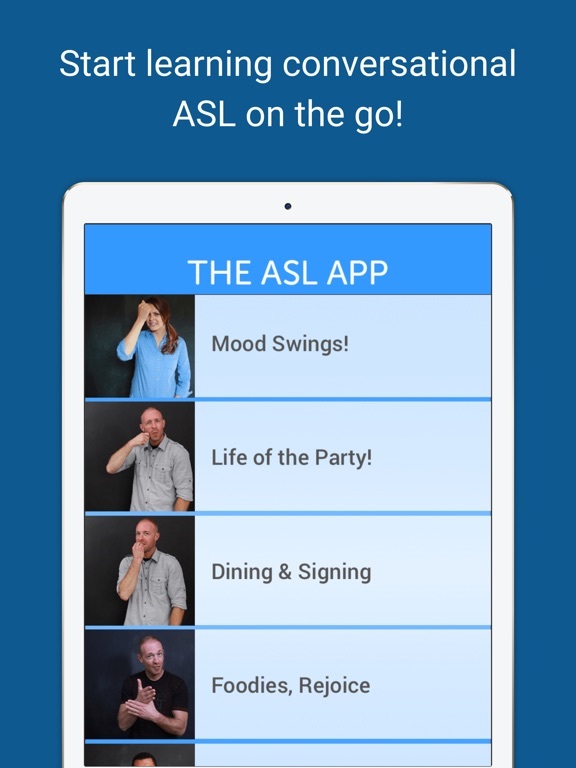 This bundle will teach you the signs for family members: immediate and extended, loved ones and even your nosy neighbors! • Family Milestones & Life Events! You'll learn signs for marriage, wedding, divorce, children, adoption, pregnancies, and much more! • Pop Culture and Social Media! What's current, popular and trending? 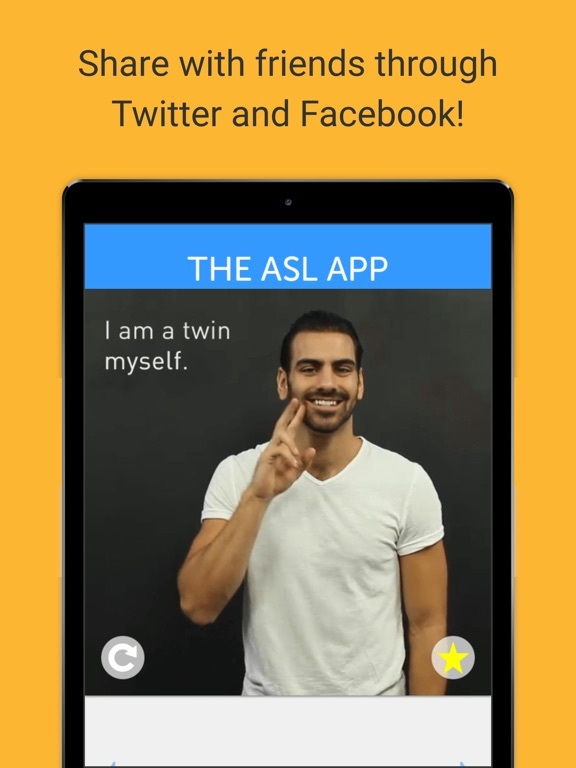 Here, Nyle shows you the signs from 3D movies to buying tickets for Broadway! • Sign and Vote! Learn how to say "register to vote" and how to sign President, blue or red states, and many more! • All About Sports! 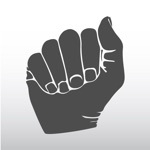 Learn signs to use with your fellow sports fans! • Education & Higher Education! Learn all about those signs used in Education! * LGBT & Pride! Learn all about Pride and LGBT signs! Got questions, comments, or ideas - contact us at [email protected]!